UGC NET stands for University Grants Commission National Eligibility Test, is a national level competitive exam being conducted twice in a year to select candidates for fellowship and lectureship [position is either only Assistant Professor or both Junior Research Fellowship and Assistant Professor] in Indian colleges and universities. UGC NET 2019 apply online procedure has been started. Interested candidates can apply now through the official website. The last date to UGC NET 2019 apply online is September 30, 2018. However, UGC NET 2019 online application fee can be submitted up to October 01, 2018. Before applying online, UGC NET 2019 aspirants are required to aware of few things such as date of release of official notification (aka information brochure), eligibility, age limit & relaxation, how to apply (application procedure), fee & mode of payment, admit card, schedule of UGC NET 2019, mode & pattern of examination, subject and syllabus of test, centres (cities), answer key, declaration of UGC NET 2019 exam result etc. Few days back, the National Testing Agency has released NET 2019 information brochure through NET official website. On September 1st 2018, UGC NET 2019 information brochure was published on its official website. It is still available on the same website for NET 2019 aspirants. The most interesting thing about UGC NET 2019 is that it is organized and will be conducted by a newly established but very prominent testing organization named as ‘National Testing Agency’. Yes, from 2019 onwards, UGC National Eligibility Test will be conducted by NTA instead of Central Board of Secondary Education (CBSE). UGC NET 2019 exam will be a ‘Computer Based Test’ having only objective type questions. The test will be held in almost every major city / town in India. So that NET 2019 aspirants can select an examination centre / city as per their convenience. Selection for examination city / centre should be made by candidates at the time of filling UGC NET 2019 online application form. It is mandatory for them to select four exam cities / centres of their choice. Candidates who have passed their Master’s degree or equivalent examination from colleges / institutions / universities approved by UGC in Electronic Science, Computer Science & Applications etc. are eligible to apply for NET 2019 exam. However, they should have scored at least 55% marks in their Master’s or equivalent examination (50% marks for transgender and candidates of OBC [NCL] / ST / SC category). Candidates who have appeared / pursuing their Master’s degree or equivalent examination are also eligible to apply. But they have to produce a proof of passing their Master’s degree or equivalent examination with needed percentage of marks within 2 years from the date of UGC NET 2019 exam. Note – for more details on UGC NET 2019 eligibility, please go through information brochure. As per UGC NET 2019 information brochure which was released by NTA on 1st September 2018, application forms to apply for UGC NET 2019 exam are available from September 01 to 30, 2018 at the official website. Further details regarding the same are given below. Enter your personal information like father’s name, mother’s name etc. Provide your contact details such as ‘Address with PIN no.’, ‘Mobile no.’, ‘Email Address’ etc. Select details of your PG qualification like ‘passing status of PG exam’, ‘Name of the PG exam’, ‘Subject of PG exam’, ‘Name of University’ etc. Transgender, persons with disability (PWDs), candidates belonging to SC / ST category are required to submit an amount of Rs. 200/- towards application fee at the time of online application. On the other hand, the application fee for candidates belonging to OBC [NCL] is Rs. 400/- only. General [UR category] candidates are required to pay full amount of application fee i.e. Rs. 800/-. There is no concession in fee for them. More than one lakh and fifty thousand Common Services Centres are established by the Government of India under e-Governance plan / scheme [NeGP] to provide support to those candidates who are not much aware of online things or who don’t know how to attempt online application. Such candidates can UGC NET 2019 apply online with the help of CSC by paying applicable service charges. A list having names and addresses of the CSC is available on website – www.csc.gov.in. As per official notice, UGC NET 2019 will be held in online mode i.e. ‘Computer Based Test’. There will be 2 papers and each have objective type questions to be solved in prescribed time. After appearing in Paper 1, candidates will get a break of 30 minutes before going to appear for Paper 2. Subject wise syllabus is available to download on UGC’s website. To download it now, please click here. Syllabus for all NET subjects is also accessible through the libraries of all Indian Universities. 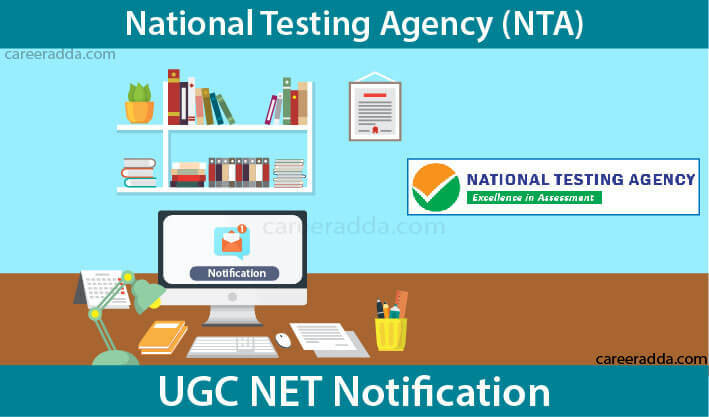 UGC NET 2019 admit card will be issued through the NTA’s website from Nov 19, 2018 onwards. To get or download UGC NET 2019 admit card, a candidate has to use his / her application no. and password at the official website of NET. After downloading UGC NET 2019 admit card, candidate should print it on A4 size paper. Port Blair, Chandigarh, Delhi, Raipur, Eluru, Chittoor, Bilaspur, Daman, Anantapur, Anand, Ongole, Nellore, Godhra, Gandhinagar, Visakhapatnam, Vijayawada, Tadepalligudem, Itanagar, Patan, Panipat, Bhagalpur, Tezpur, Vadodara, Muzaffarpur, Patna, Gaya, Faizabad, Kurukshetra, Dhanbad, Ranchi, Sagar, Indore, Gwalior, Mohali, Bhopal, Mysuru, Sitapur, Kozhikode, Nasik, Jalgaon, Kohima, Dimapur, Kolkata, Amritsar, Puducherry, Ajmer, Vellore, Thoothukudi, Jhansi, Pantnagar, Kanpur, Lucknow, Jaipur Etc. UGC NET 2019 answer key will be displayed for challenges by the National Testing Agency on its website. It will remain available on the website for 3 to 5 days. Any candidate who will challenge answer key is needed to pay an amount of Rs. 1000/- (per question) towards processing charges. Before declaring UGC NET 2019 result, the NTA will display answer key of all the candidates for 3 to 5 days on the NTA’s online portal. NTA will announce UGC NET 2019 result by January 10, 2019. For more details on UGC NET 2019, keep visiting this page regularly. We wish you Best of Luck for your UGC NET 2019 exam.